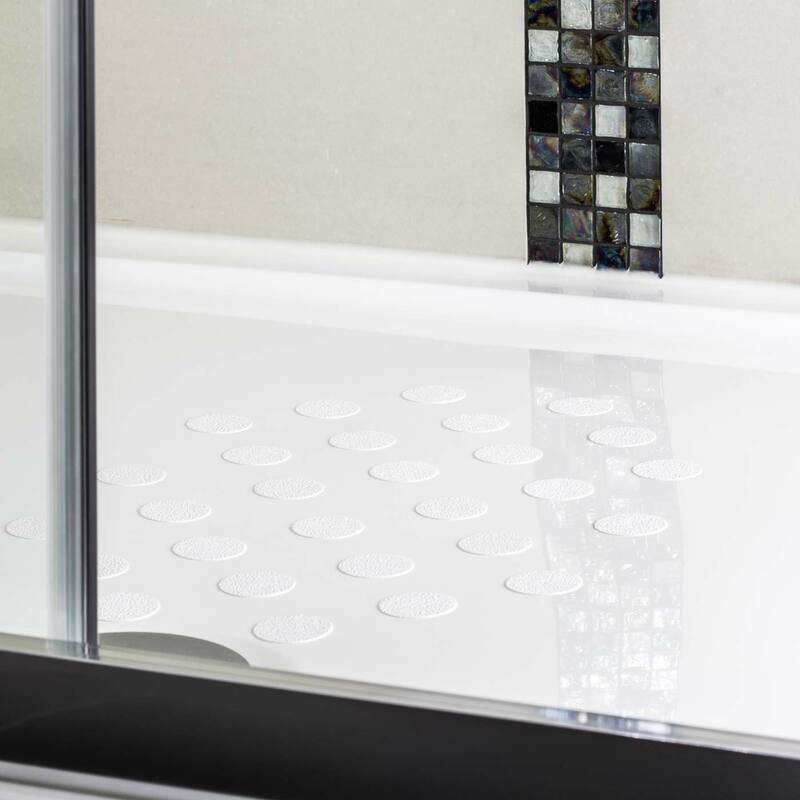 Our high quality Anti Slip Shower Stickers could drastically reduce the risk of slipping in the shower, bath or wet room. 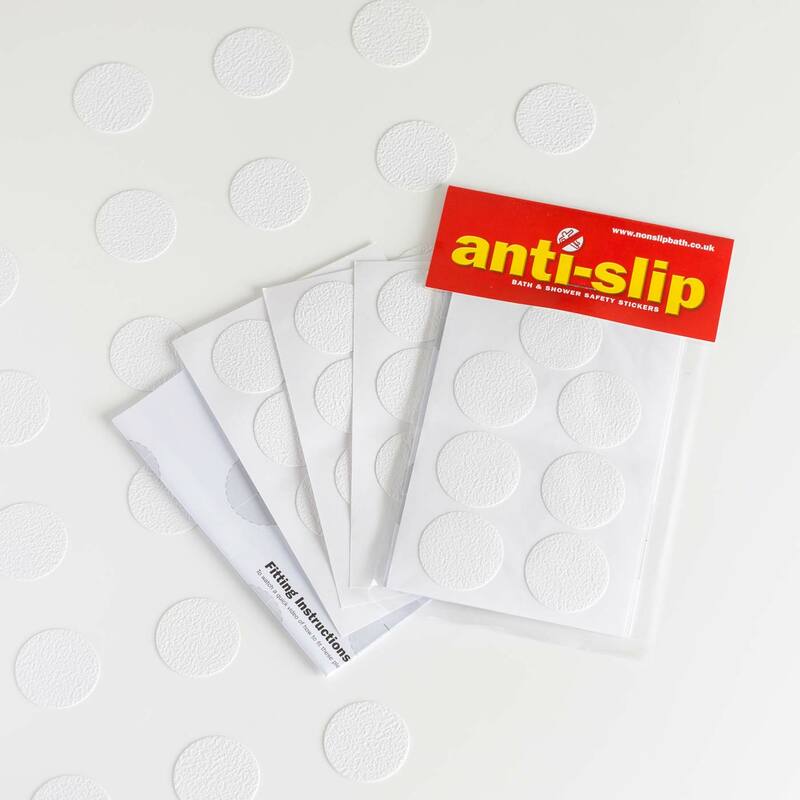 Anti Slip Shower Stickers are 3.5cm white self-adhesive circles with a lightly textured surface, which are stuck directly onto the bath or shower tray. 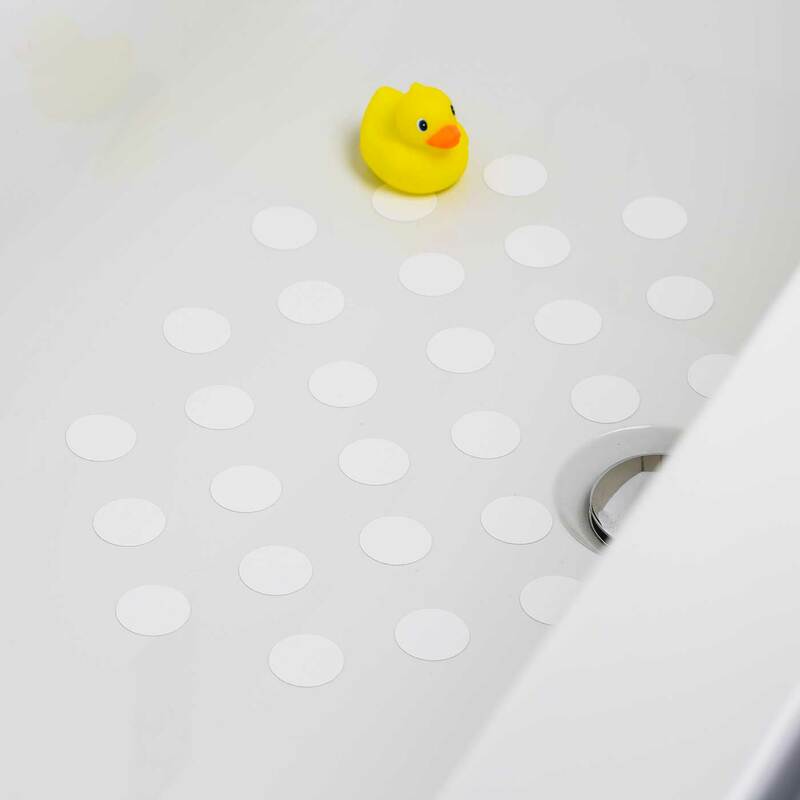 Easy to apply & easy to clean, they provide a stylish, more permanent alternative to bath mats which attract mould. Free Delivery for 2 packs or more! For less able people having the stickers permanently in place means no bending down to place bath mat. Your Home Magazine have described them as ‘a revolution’ and they have been recommended by Good Housekeeping Magazine. 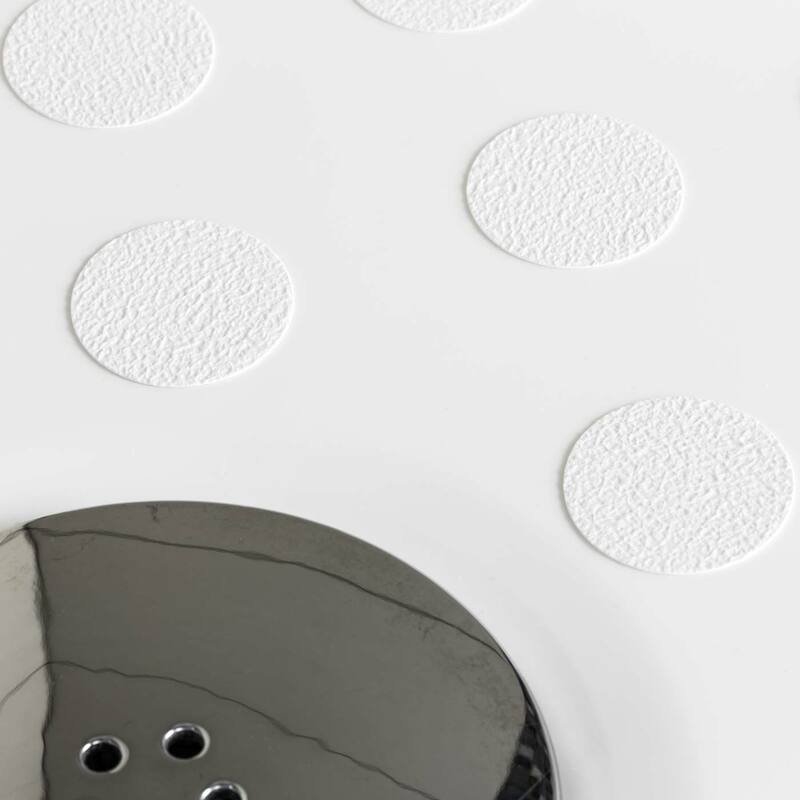 The word is spreading rapidly amongst bathroom fitters, interior designers and those in the know. 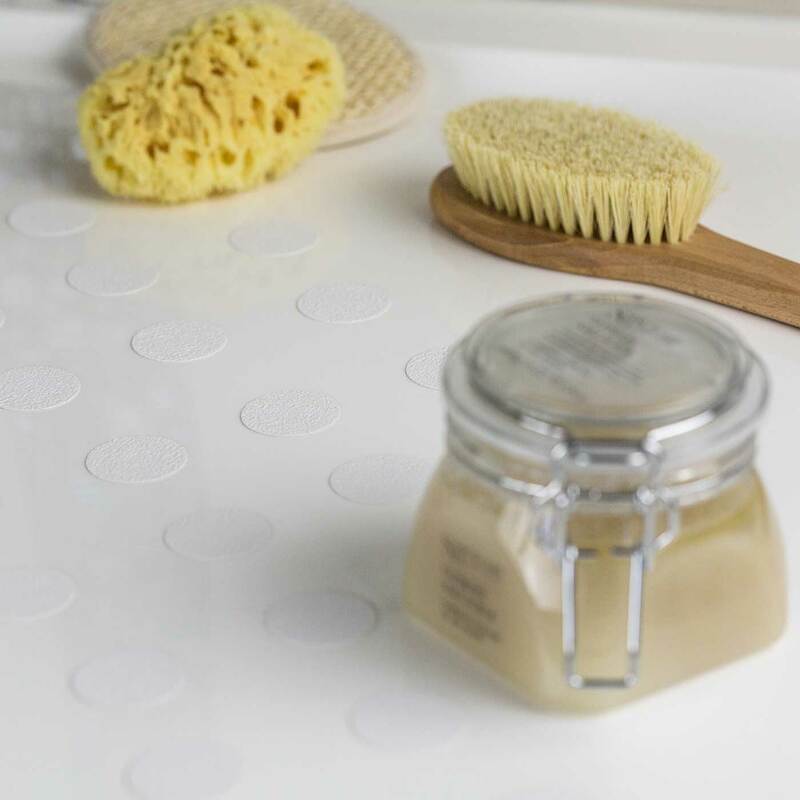 Banish the bath mat! For more product details check out our FAQ section. 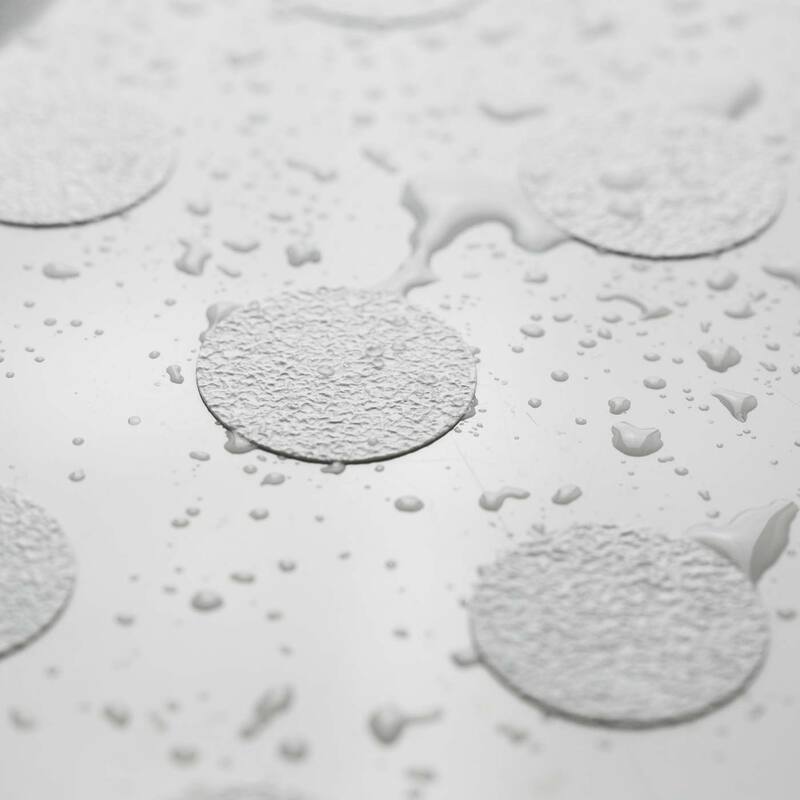 A fall in a wet shower or bath can be extremely painful or worse, fatal. 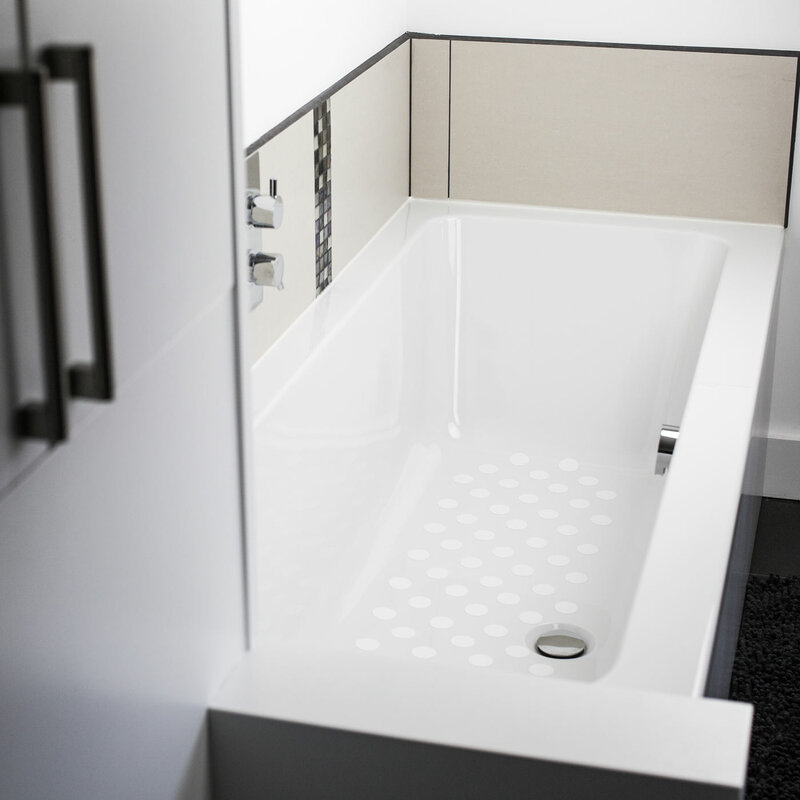 Thousands of people fall or slip each year, yet even today, many baths don’t have adequate anti-slip surfaces. 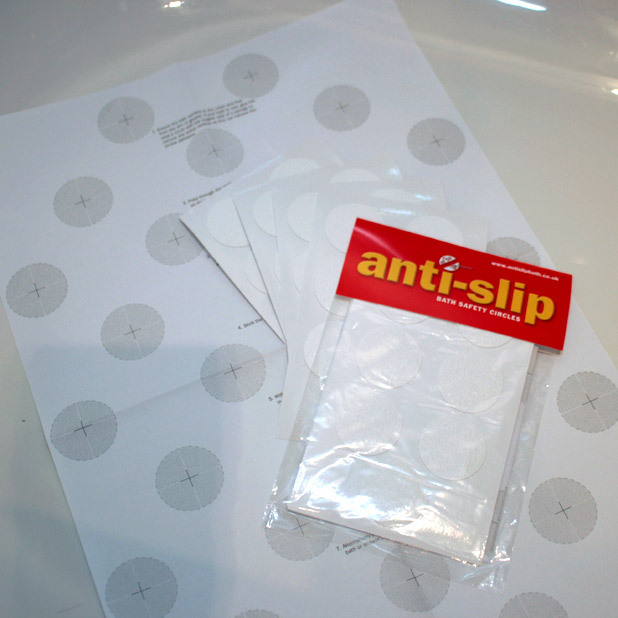 Our non slip bath & shower safety stickers (also known as anti slip bath stickers, anti slip shower stickers, bathtub decals or appliques) could drastically reduce the risk of slipping in the bath or shower, and they could even save your life. Every year in the UK nearly three-quarters of a million people aged over 60 end up in the local A&E department after a fall, and one in three of these will end up staying in hospital because of their injuries. Figures show around a third of adults who are over 65 and living at home will experience at least one fall a year. This rises to half of adults over 80 who are either at home or in residential care. In 2009 in England and Wales, there were 3,593 deaths as a result of falls. Making small changes at home, such as using non-slip rugs and mats and ensuring that rooms are clutter-free and well lit, can help prevent falls. 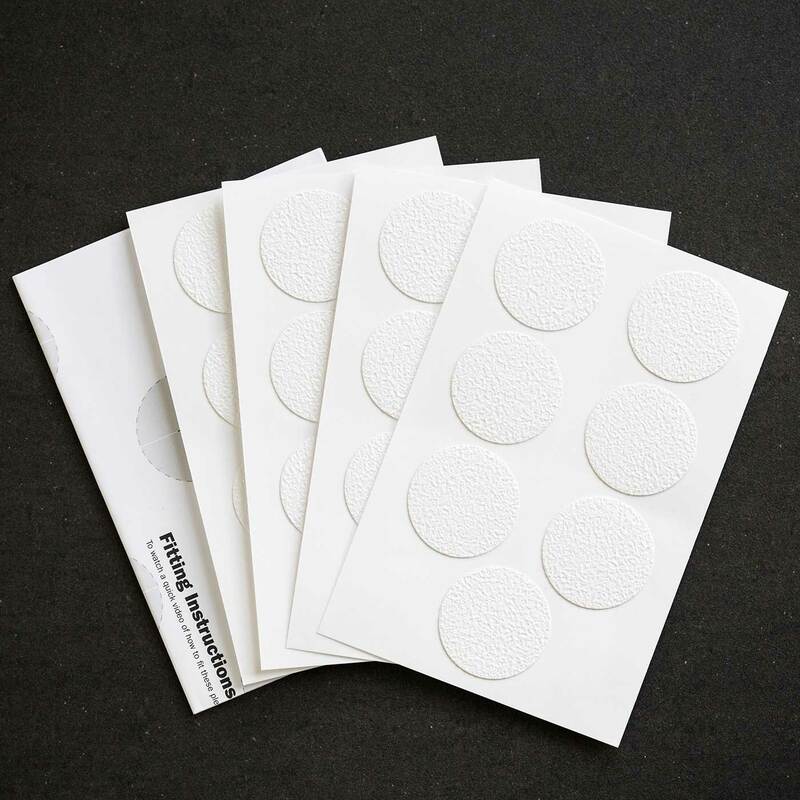 These little Non Slip Bath and Shower Stickers could save your life! 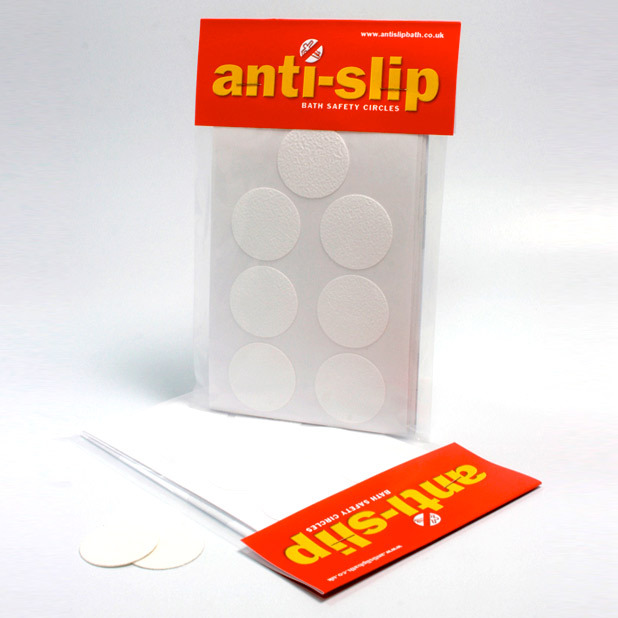 Anti slip bath and shower stickers are ideal for older people, young families, those with a physical disability or anyone wanting to make their bathroom safer. Often used by hotels and property developers, you know they have been tried and tested. 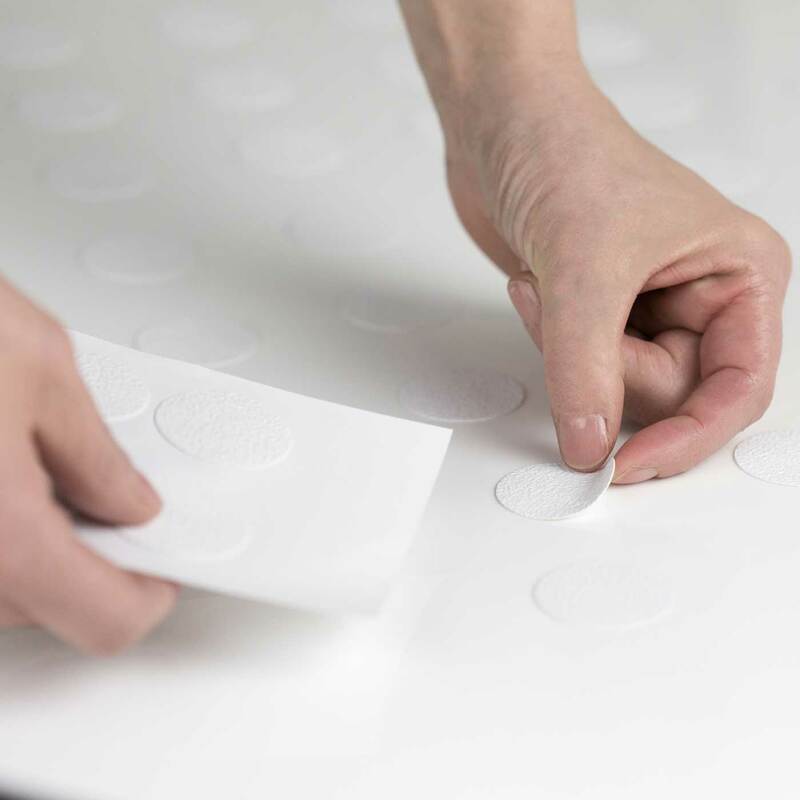 Use 2 or more packs to create full coverage of the bath, like a full length bath mat. Worldwide delivery.